A major visual arts project in Plymouth that explores ideas of power, protest and the public, curated by Simon Morrissey, Director of Foreground. 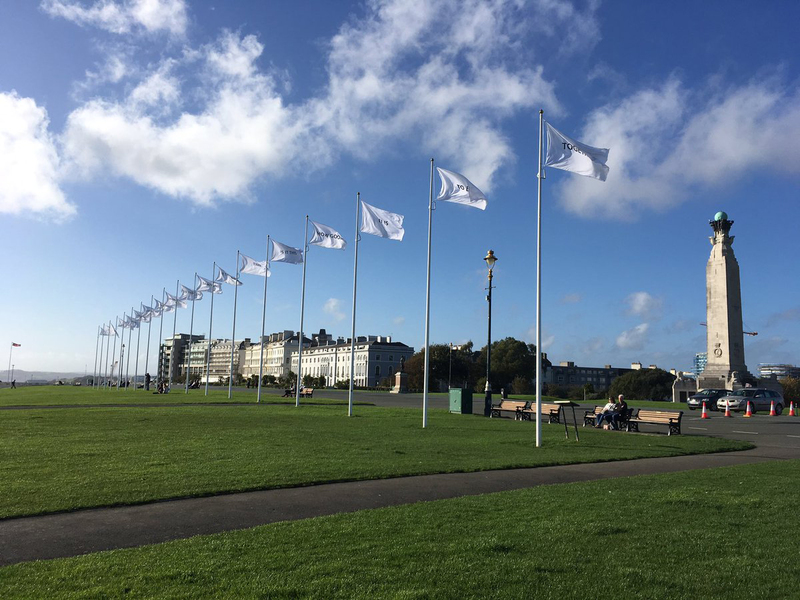 One of the works realised by Peter Liversidge is a series of flags flying on 18 flag poles making one line near the seaside. The words on the flags are making together a complete sentence. Typography and design flags by Peter Foolen. Flags produced by Holland Vlaggen, Oosterwolde, NL. Printed in silkscreen on Spun-polyester 160 gsm, each flag 150 x 225 cm.